I have been on a hunt to find a good idea for homemade gifts for the office. 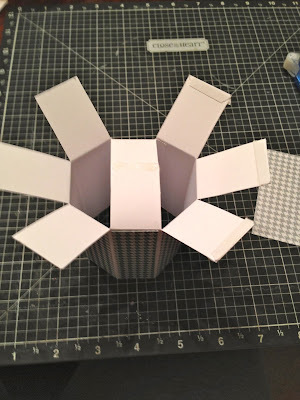 Upon my fun search I found a youtube video tutorial by Papercrafter 45 which seemed easy enough to try. 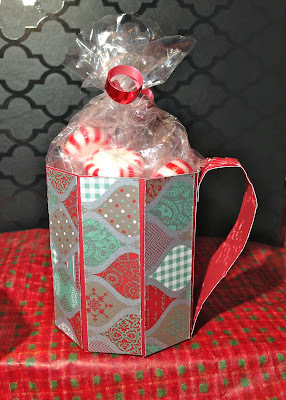 I am not certain this will be the office gift however it was fun to make and can be used as gifts throughout the year. 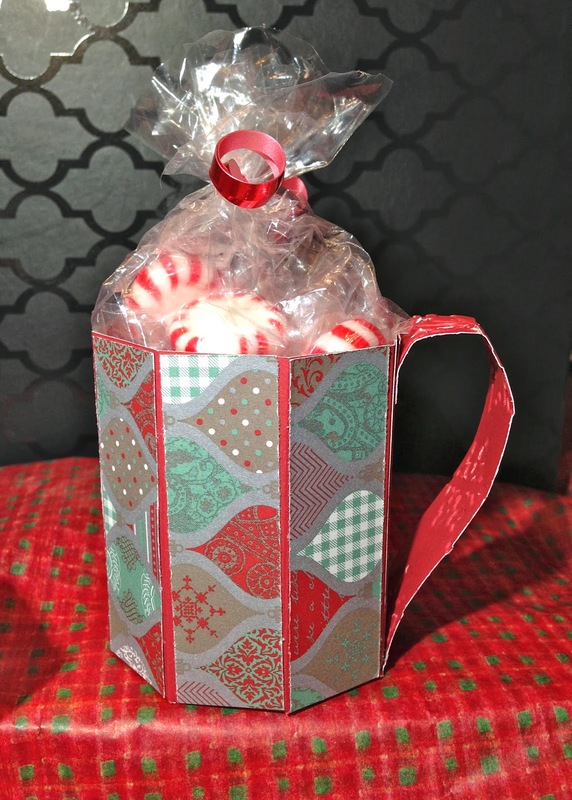 Ideas that came to mind...fill with someones favorite coffee packets, teas, hot chocolate etc. If its valentines how about some yummy candy. You can tailor it to fit your needs. Here is the finished product. 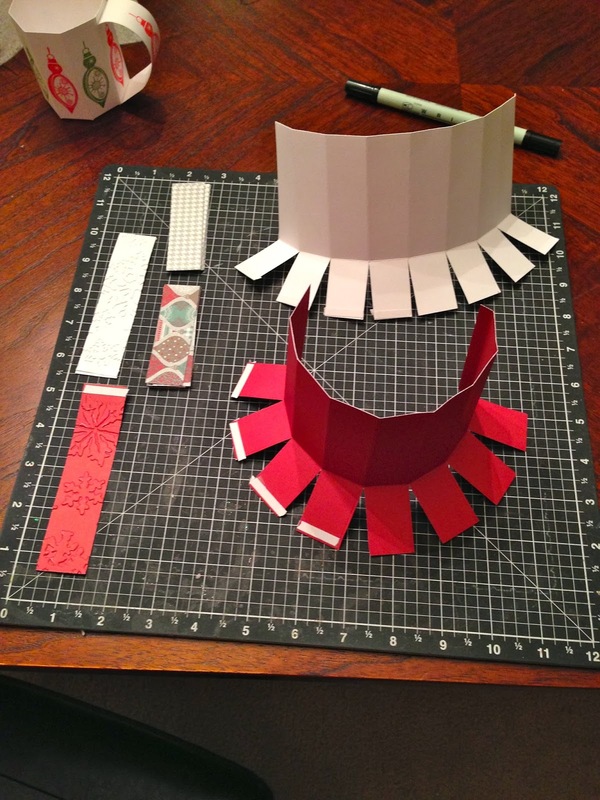 Work your way down the pictures to see how it all came together. To make a mug you will need 1 piece of card stock cut at 8 1/4 x 4 1/2 for the body and a piece cut at 1 x 4 1/2 for the handle. 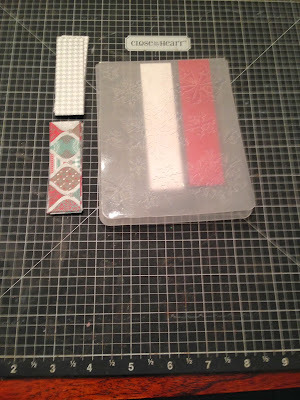 I ended up using White Daisy and Ruby card stock. Once you have your pieces cut you want to score it. First lay your card stock portrait and score down the length of the paper at the 1 1/2 mark. 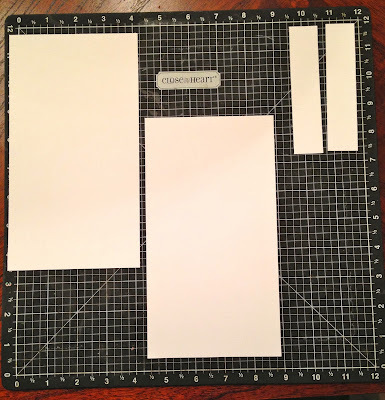 Then turn your card stock landscape and score it every inch. You want to score at 1, 2, 3, 4, 5, 6, 7 and 8 inches. 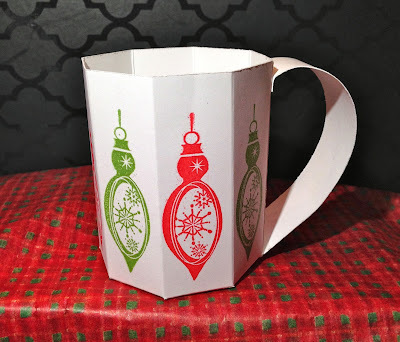 The first mug I completed I decided to use the white card stock and stamp the image. 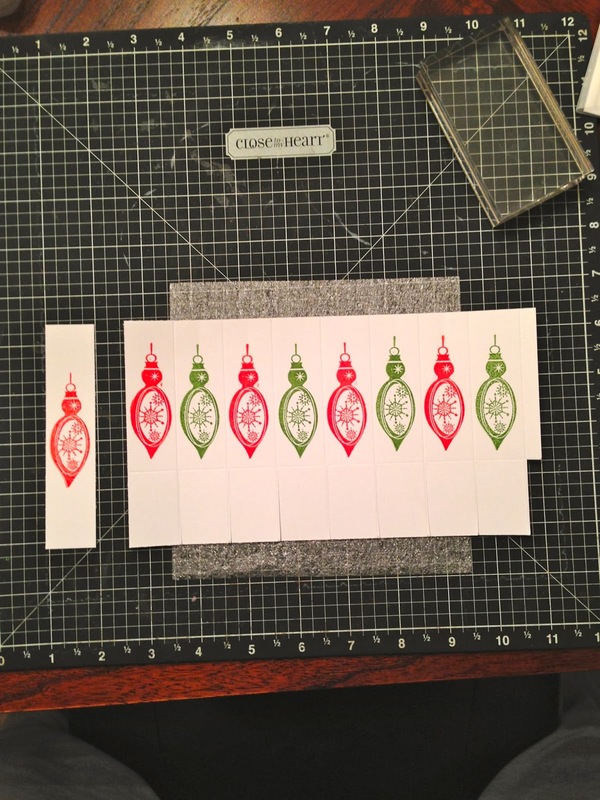 I used the Holiday Cheer stamp set with Topiary and Holiday Red (retired) ink. 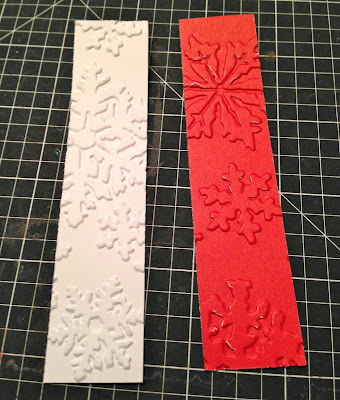 (Holiday Cheer is a stamp set that coordinates with the Art Philosophy cricut cart). 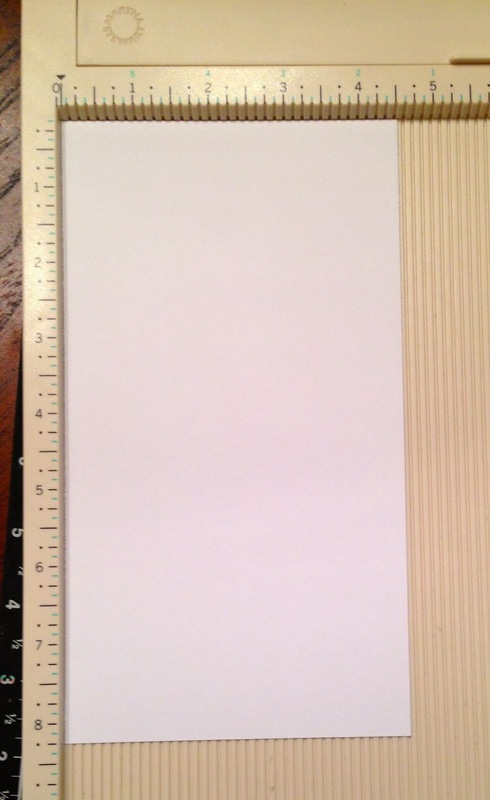 You will have a smaller panel section with the 8 inch score. You want to cut the bottom portion off. You can see there is a piece missing below. 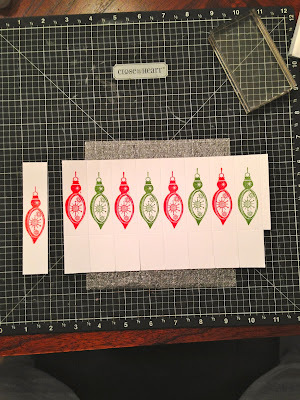 For the mugs where I used patterned paper, I went to my favorite paper at the moment..Sparkle and Shine and cut 8 pieces at 3 x 7/8. 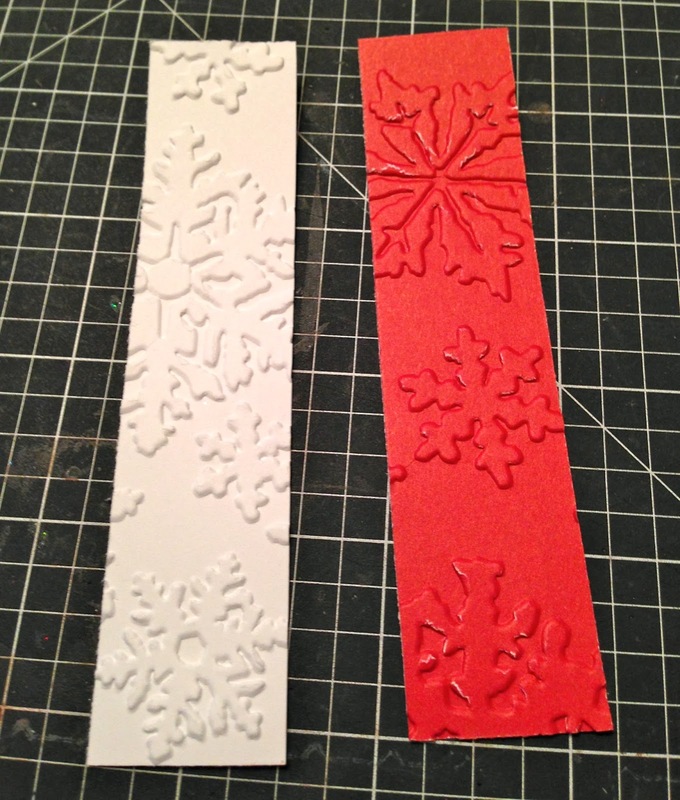 I then cut the handles and embossed them using the Tim Holtz snowflake folder. Here is my Big Shot ready for action. You can see the embossing on the handle. SOOO cute!! 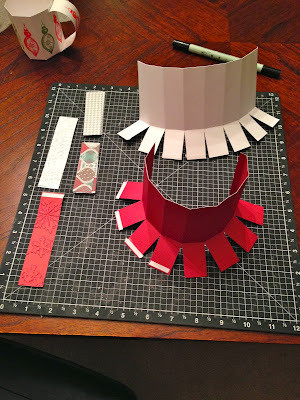 Back to constructing the mug. With all the score lines you want to go ahead and cut up each score line until you reach the solid score line separating the top from the bottom. These flaps will be the bottom portion of the mug. I used sticky tape and placed it down the length of the smaller flap scored at the 8 inch mark and then strips on the front and back of 4 of the tabs. 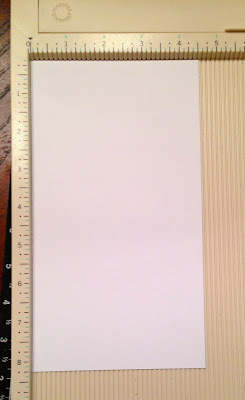 You can see it better on the ruby card stock. I also added sticky tape to the handles. One piece on the front and one piece on the back. For the mugs with the patterned paper I went a head and used my tape running on the back of each individual piece then adhered it to the panels made by the score marks. I then used the smaller panel to attach to the other side making it turn into a circle which becomes the mug. Be careful to make sure when you attach it the mug keeps its shape. Now you want to seal up the bottom. 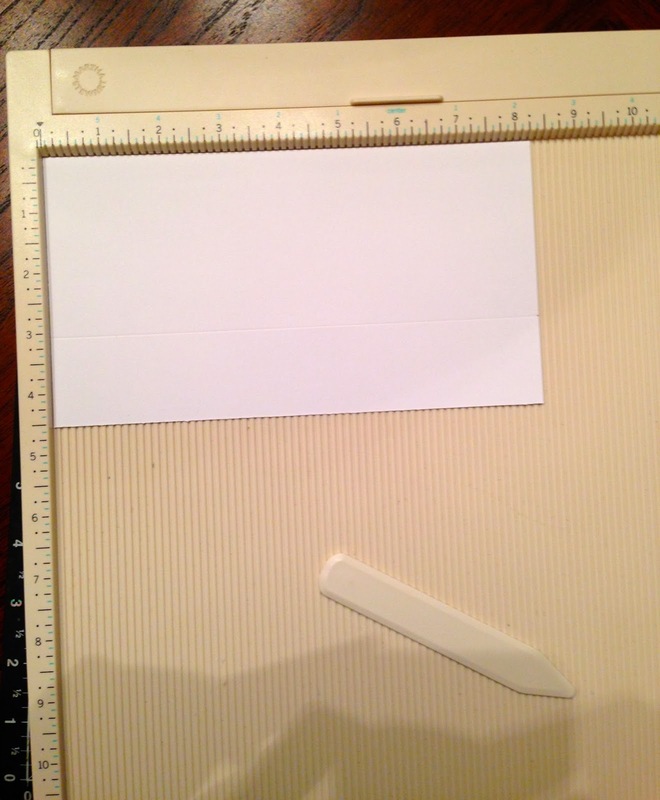 To do so you want to take one of the flaps with the sticky tape on both sides and remove the paper. Use the flap with no sticky tape on it right across from it and connect them using the sticky tape flap. Repeat until you have all flaps secured keeping in mind when you do the last flap to put the sticky flap down first so the one with no tape finishes the construction. Then bend the handle and secure to the side. 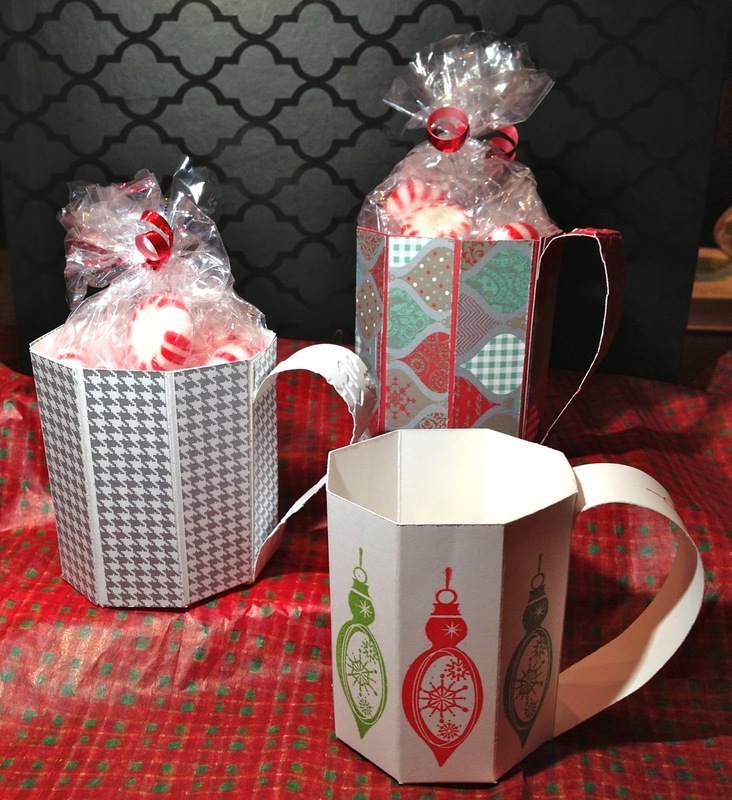 Below are the three mugs I made. 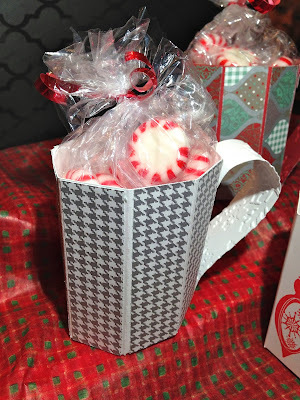 I put some mints in two of them to show you how you can use them. I saw examples of the mugs sitting on top of doilies and plates. You could even wrap them in plastic to enhance the presentation. Here is the stamped version. 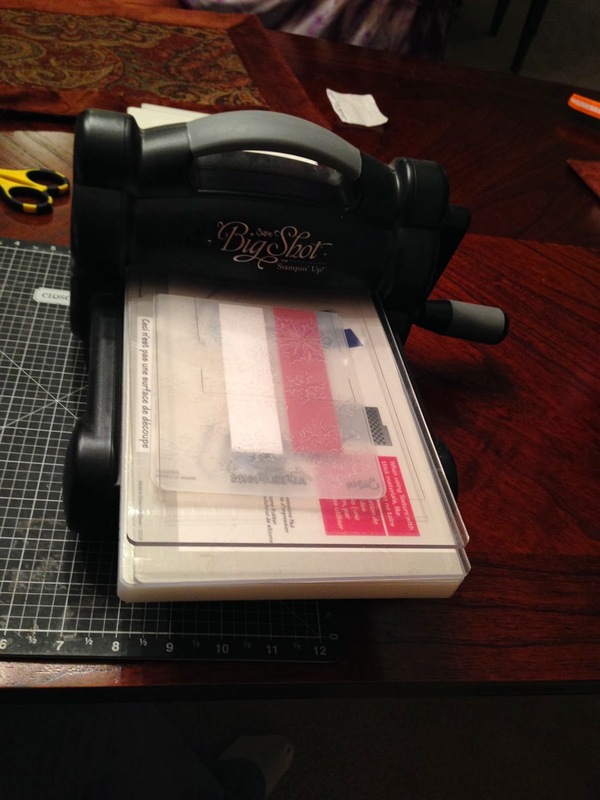 Just imagine the fun you can have with your stamp sets. That is just awesome! Thanks writing and sharing the instructions! Love it! Love it! Love it!!! I have to give this a try! There are a few people at work I would like to make these for, Thanks for sharing! I love your mugs. Your tutorial is great and easy to follow. Thanks! Love it!!! I have to give this a try! How cute and creative. Thanks so much for sharing your ideas with us!